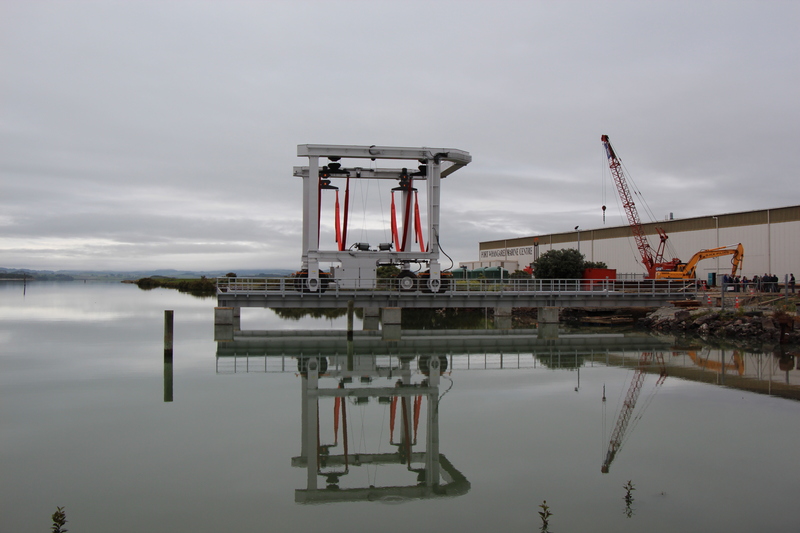 GHK Piling were contacted by Oceania Marine who were undertaking the construction of a 100T Travel Lift Haul Out Facility at Port Whangarei. GHK Piling worked closely with the designers & the client to ensure the build-ability of the design in the marine environment. 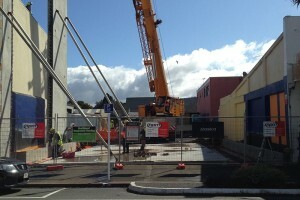 This was also to ensure that the requirements of the resource consent were met. 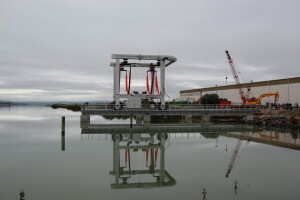 The challenges faced around this project were working in a marine environment, driving bottom driven piles in excess of 36 metres, casting insitu pile caps below the high tide mark using coffer dams & the bulk excavation of marine mud & sediments. The project was completed to a high standard, on time & on budget. The client was very happy with the end result. “When Port Whangarei Marine Centre needed to install the infrastructure for their new 100T mobile boat hauler, several companies were looked at for the job. GHK pilling was chosen due to their knowledge and experience in this type of work. The plan consisted of bottom driving a series of 750mm diameter piles down through the seabed to bed rock, some were as long as 39 meters. 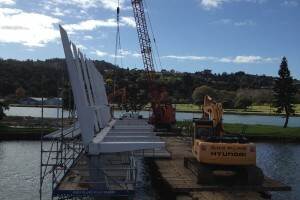 Steel beams were placed on top of these piles to act as a runway for the boat hauler to drive on. A seawall was also constructed by using a combination of sheet pilling and a rock revetment to retain the shoreline. 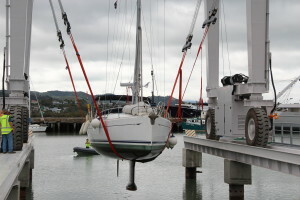 GHK also carried out the extensive dredging that was required to allow Port Whangarei Marine Centre to haul out deep drafted vessels at low tide. The GHK team did a great job on the install of our piles and sea wall for our Travelift piers. The finished product was built to spec and was well finished off, leaving the site clean, tidy and well presented.